It represents the value of Casa Familiar’s core strength- advocacy and community organizing and the creation of space where learning and cultural richness come together. #GiveLoveLearn is Casa’s advocacy and development of innovative affordable housing and social impact spaces, new collaborations and expansion of arts and culture programming, our first joint venture social enterprise, and all within walking distance of the New San Ysidro Library. This requires a labor of love and your generosity. We want to highlight our effort with you, other philanthropic efforts, and social enterprise where together, our hashtag #GiveLoveLearn advance support for services for families, youth employment and learning. 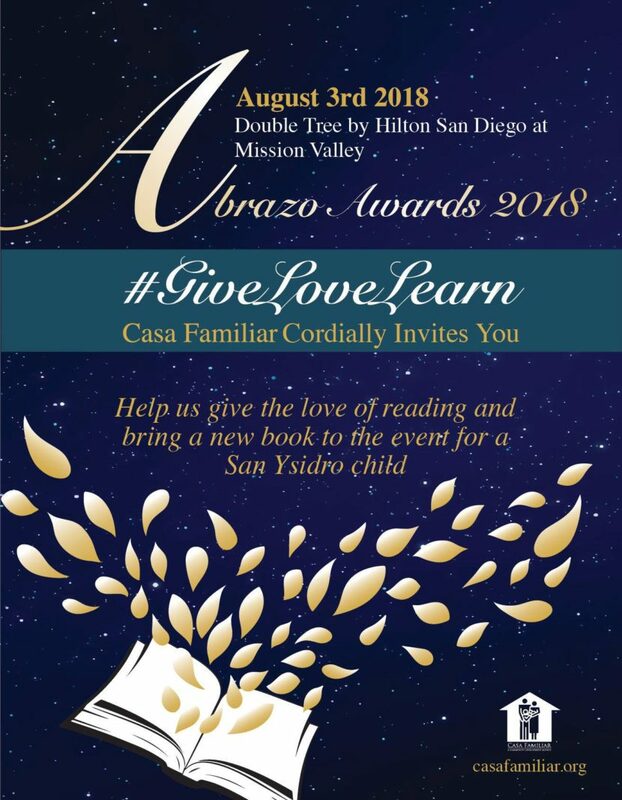 Bring a new book and help us GIVE the LOVE of reading and LEARNing for a San Ysidro child.